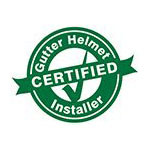 In order to take good care of your home, Gutter Helmet knows that you will need high quality products installed by professionals who possess adequate skills and knowledge. This is why America’s trusted name in gutter protection partners with local home improvement companies across the country that they believe share their passion of helping homeowners protect their homes. Home Solutions Midwest, one of the carefully selected dealers for Gutter Helmet, exhibits all the qualities that you may be looking for. Home Solutions Midwest believes that “Homeowners today cannot afford to install products on their homes that fail.” That’s why we have spent 30 plus years listening to our customers and finding solutions for their homes. Not only do we provide products that really work – we factory-train our installers, so that customers receive the optimal benefits of our products. We have been serving southern Minnesota and northern Iowa since 1979. We are a licensed and insured contractor (MN License #BC001552) and use only our employees to sell and install our products. Home Solutions Midwest has been awarded many local and dealer awards for our outstanding performance in sales, customer service, and customer satisfaction. You can feel secure that when you deal with Home Solutions Midwest, we will be here to take care of you now and in the future. We invite you to learn more about how we can help you. If you are from Albert Lea, Austin, and other surrounding southern MN and northern IA areas, feel free to contact us at (800) 824-3772 so we can talk about how we can help protect your home with Gutter Helmet’s patented gutter guard system. Failed to load Google Map.